Move In Ready!! 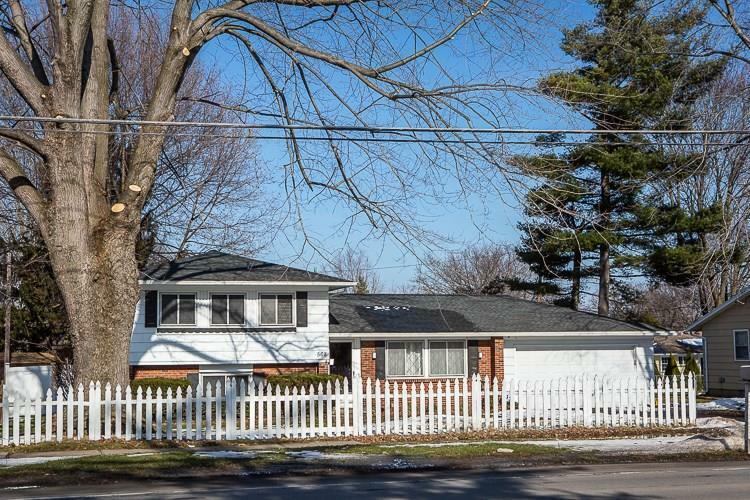 Meticulously maintained Tri-Level home located in the Greece School District. This beautiful home has been completely renovated. Enjoy dining in your updated kitchen with maple cabinets recessed lighting and french doors leading out to the backyard. 6 ft privacy fence installed in 2017 making the backyard perfect for entertaining. Updates include: Complete Tear-Off Roof and new gutters in 2013. New furnace in 2015. New A/C unit in 2017. Hot Water Tank in 2015. New garage, garage door and garage door opener in 2013. Both bathrooms updated. Bamboo flooring in the Living Room. Ceramic Tile in the Kitchen. You won't want to miss out on this home! Close to shopping and expressways. Directions To Property: English Road And Mt. Read Blvd. House Is Located Between Fetzner And Mt. Read Blvd.